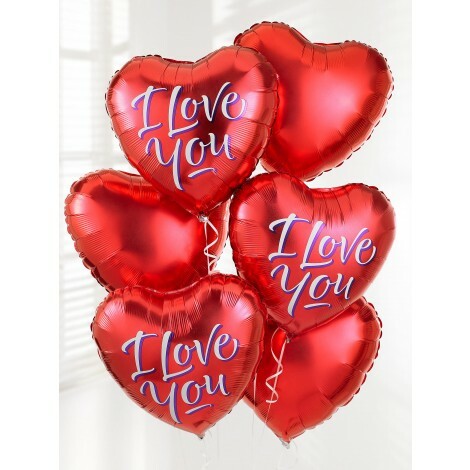 Luxury "I Love You" Balloon Bouquet. This novel and fun-filled "I Love You Balloon Bouquet is sure to bring a smile and make someones day! An ideal finishing touch that can be added to any order or quite simply sent on it's own. 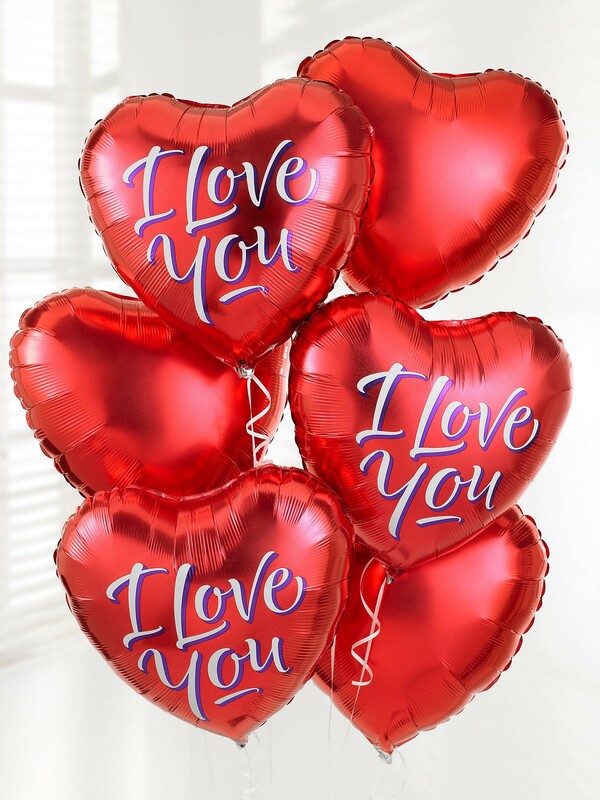 This fun-filled balloon bouquet includes; three helium balloons with the words "I Love You" alongside three plain red helium balloons making for the perfect add-on to any floral gesture. Six heart-shaped helium balloons in total.